My New Skirt // There is nothing better than adding a lovely new piece to your wardrobe, particularly a piece that you've been searching for, for what seems like years. 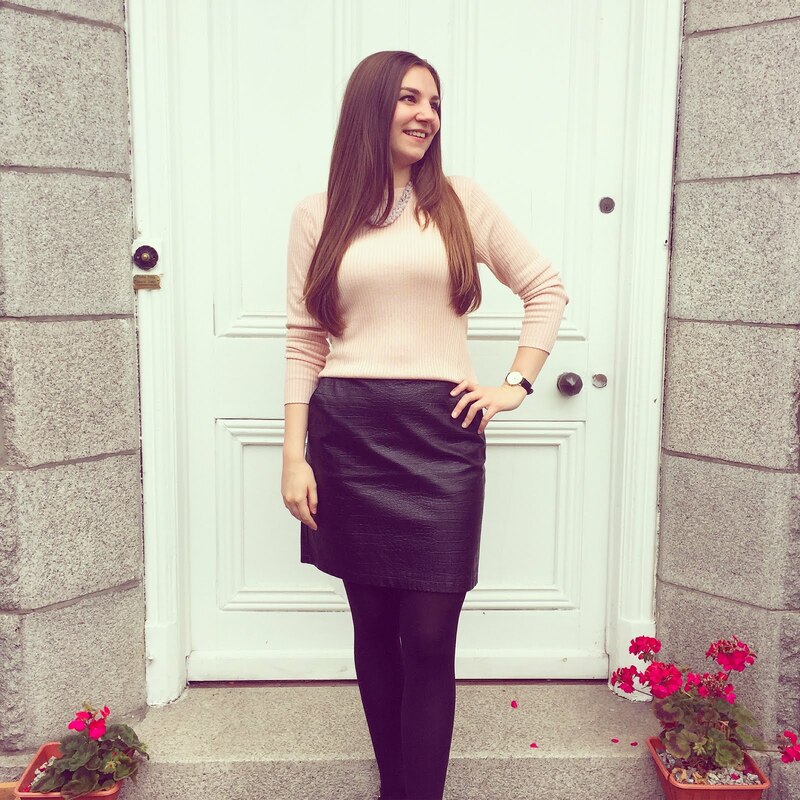 I had been on the hunt for a classic, black, leather look skirt which I would be able to wear to work or any other smart occasion. I didn't want the skirt to be too short, or too long for that matter, and was delighted when I spotted this lovely faux leather creation in Warehouse last week. I wasn't initially sold on the croc effect design, but once I tried it on and realised the pattern was quite subtle, I was completely sold. This is the exact skirt I was after, so thank you Warehouse for reading my mind. I'm particularly fond of the deep pockets on either side of the skirt, making this such a practical piece that can hold all my bits and bobs. 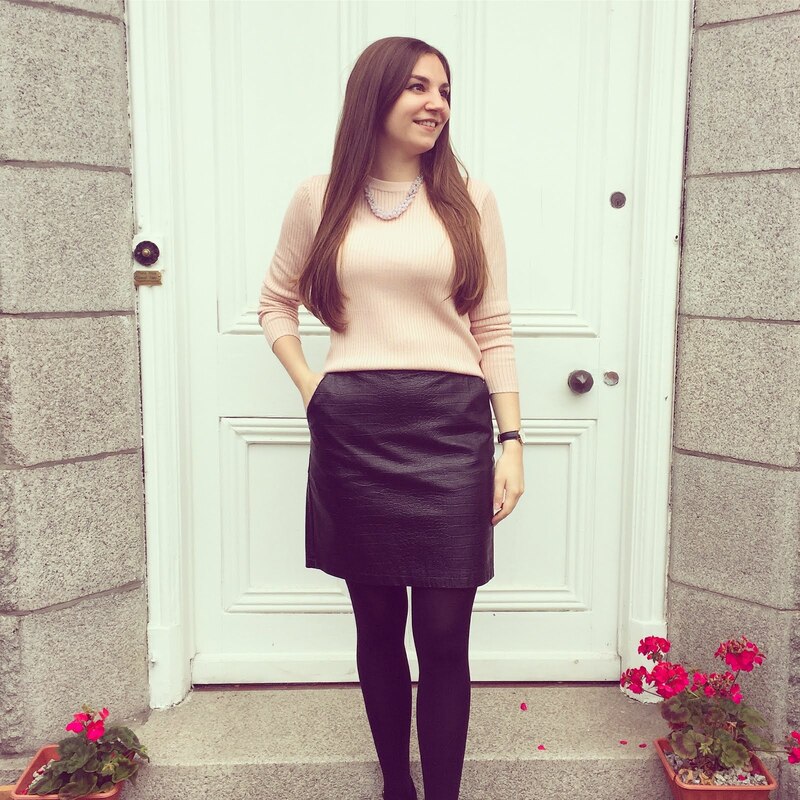 I decided to pair my new skirt with another new piece - this gorgeous thin knit jumper from H&M. I've been impressed with H&M A/W collection and spotted this jumper on my last visit in store. I loved it so much I also picked it up in a dark green shade, which I'll no doubt be showing you in a few weeks time. This is a perfect outfit for the office or Sunday brunch with friends. 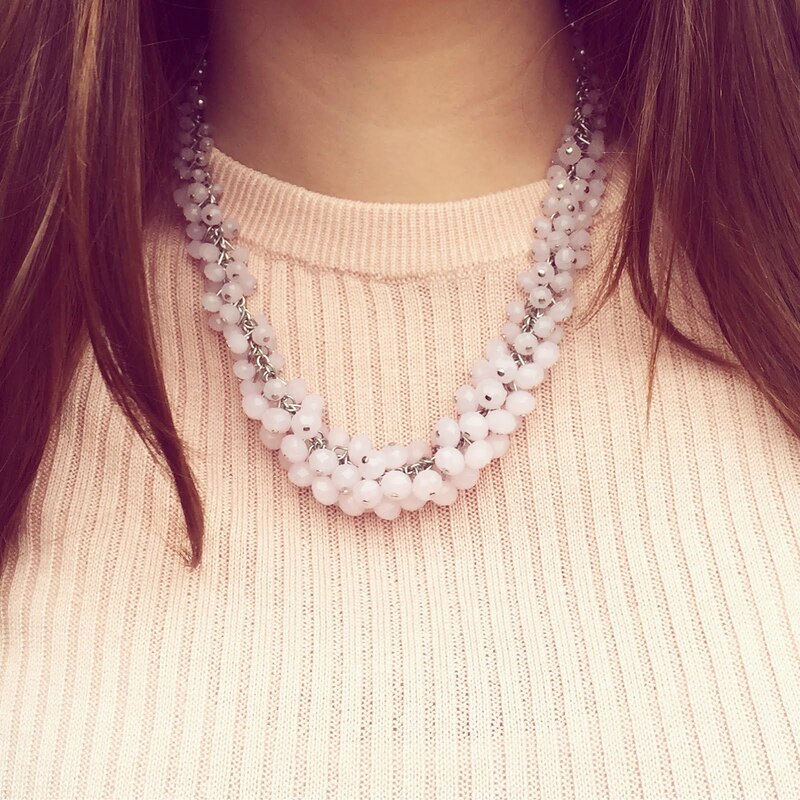 I've completed the outfit with a purple stone statement necklace from Marks and Spencer. I picked this up last year and it was an impulse purchase. The purple stones don't go with many of my clothes, but I think it matches this jumper perfectly - yay! What do you think of my new skirt? Let me know in the comments below! Beautiful look. Love this leather skirt! I love this combination. So classy. Lovely accessory too. So lovely and cute outfit! Nice leather skirt look and bauble necklace! I love this outfit and love pattern contrasts. Pink sweater is lovely.